Radio imaging service RadioJinglesVIP.com had just released new sweepers themed after the recent 2012 Brit Awards. 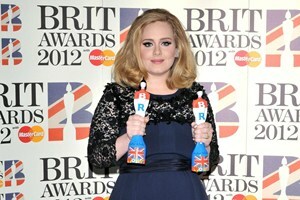 Showcased are sweepers theme around Adele’s controversial reaction after speech was being cut off by host. Also showcased are the winning artists of the Brits, including international artists Rihanna and Bruno Mars. Ed Sheeran, is also on the spotlight.